This was done for a product viz. The aim was to achieve photorealism. Used HDRI reflections for the buckles. Texturing took the longest amount of time. Rendered with Blender internal renderer. Composited in Photoshop. Not photorealistic, but a very, very nice render. 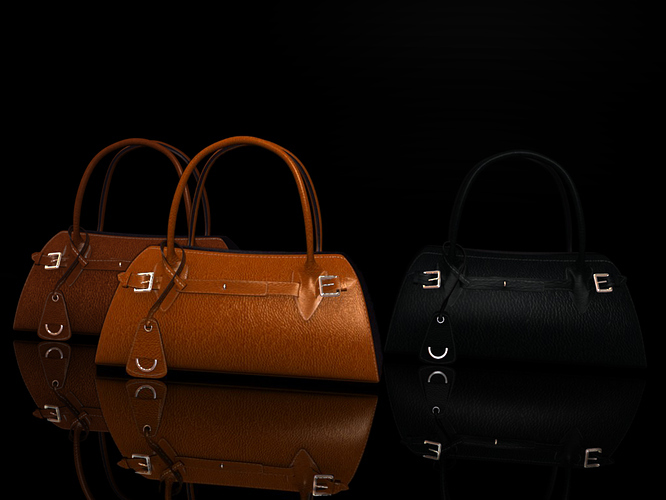 The black handbag will be too dark for many peoples monitors though so you’ll need to light it a bit. Your bag is looking real. I like bag texture, but not with black background.